What’s new about the Guidelines, and what that actually means for U.S.-Japan cooperation moving forward. On April 27, the United States and Japan released the new Guidelines for U.S.-Japan Defense Cooperation. The document, originally created in 1979 to set the parameters for the cooperation between the U.S. military and Japan Self-Defense Forces (JSDF) in case of military attack against Japan, had been last revised in 1997 after the end of the Cold War. The second and most recent revision began in 2013 and is now complete. There are several notable features of the new Guidelines. First, the document, 24-pages long, is predominantly focused on how the two countries will respond to the security concerns that directly affect Japan’s security. Although the Guidelines assert that these security concerns cannot be defined geographically, it is clear that the primary drivers of articulating the modes of bilateral cooperation in such situations is to clarify when and how U.S. military will cooperate with the JSDF in what is referred to as “grayzones” among the alliance managers. Second, compared to the very detailed description of bilateral cooperation in situations that directly impacts Japan’s security, the new Guidelines say very little about how the two countries will cooperate in regional and global activities. This reflects the reality that, while the Japanese government basically revised the interpretation of the Article Nine of the Japanese constitution to allow itself to exercise the right of collective self-defense, the exercise of this right is allowed only under limited circumstance. Third, the new Guidelines singled out space and cyber as the two domains that hold the greatest potential for expanding bilateral cooperation. 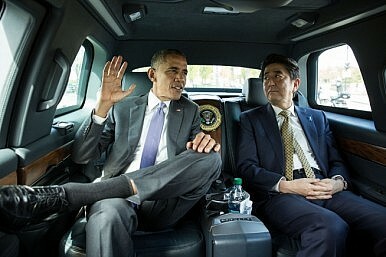 However, there is a vast capability gap between the United States and Japan in these two areas. It will be a tall order for Japan to develop its own capability, with appropriate investments, in space and cyber to be able to partner with the United States in these two domains. Finally, this is the first time that cooperation in defense equipment has been mentioned in the new Guidelines. With Japan’s revision of its arms export policy in April 2014, defense industrial cooperation between the two countries indeed has great potential. Still, in order to fully optimize this potential, Tokyo must come up with a coherent policy on how it wants to nurture its defense industrial base, while ensuring fair and open competition for its own defense market. Given the changes in global and regional security environment since 1997, the time was indeed ripe for Washington and Tokyo to revise the Guidelines. The new Guidelines offer a set of defense cooperation principles for both countries that are flexible and adaptive, so that they are not tied to emergency situations or contingency scenarios in specific geographic areas. However, whether the new Guidelines can add real “meat” to this framework depends on how Japan will change its national defense legislation.